We have heard it a couple of times, drinking ice cold water can do a lot of harm to your body. So we have decided to research this matter and finally gather the straight facts. It is believed, and reposted, and shared through social media, that drinking ice cold water after a meal can cause a lot of problems to our health. 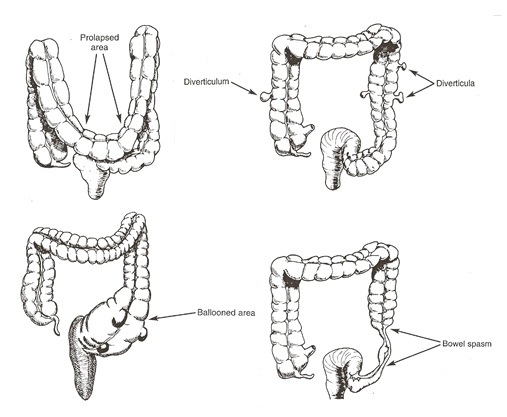 The cold water will solidify the oil and fats you have consumed and it will line the colon, which may cause colon cancer, irritable bowel syndrome or bowel obstruction. These are the common causes, and take note that one of the causes enumerated on the list is NOT drinking enough water. 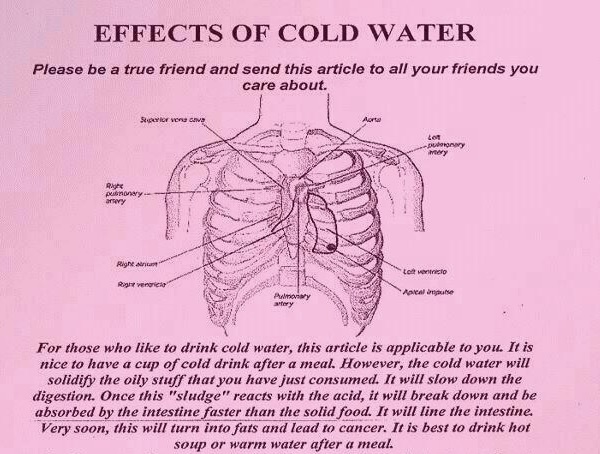 It is not from drinking ice cold water. It all comes down to the fact that drinking enough water everyday is essential to prevent diseases of the gut. Whether cold, hot, lukewarm or just room temperature, all that matters is that the water you drink is clean, safe, and enough to rehydrate you, and meet the needs of your body.